A comprehensive timeline of our history at Quaker Street so far. Phil Dean goes by the pseudonym shoreditch sketcher on instagram. His work is a wealth of intricately composed sketches and live drawings of cities he’s visited around the world, and he exhibited them at Quaker Street Cafe in June. 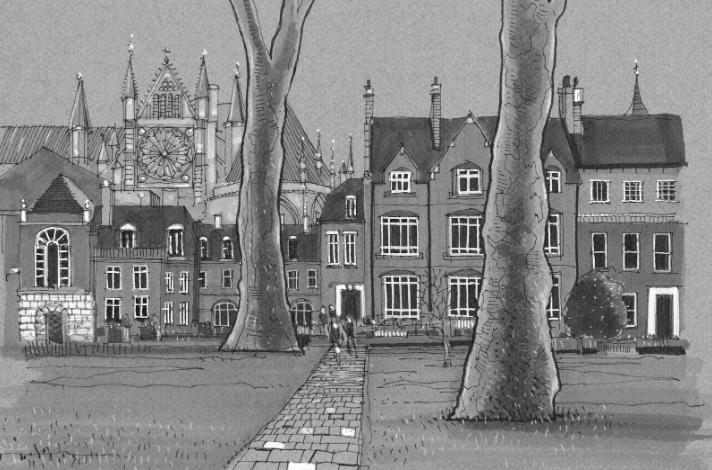 Phil also does sketching workshops around London, and you can find more information on his website. A poignant figure in London’s street art scene, artist Nick Brown showcased a collection of spray painted portraits at the Cafe in March. 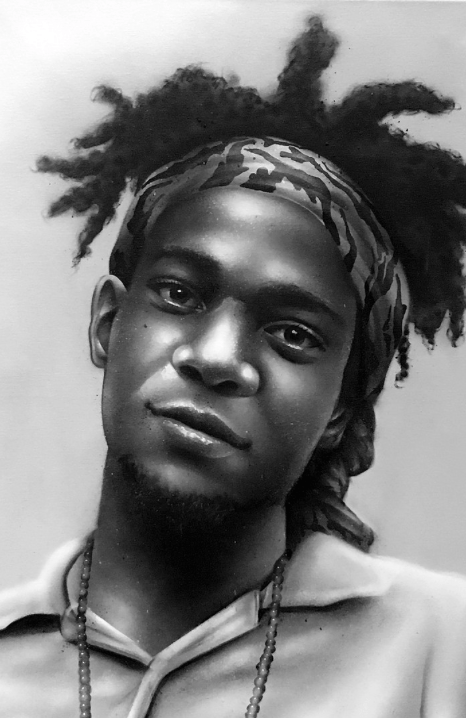 Brown is a graphic designer, muralist and illustrator, and you can find a portfolio of his work over at https://www.nickbrownartwork.com. 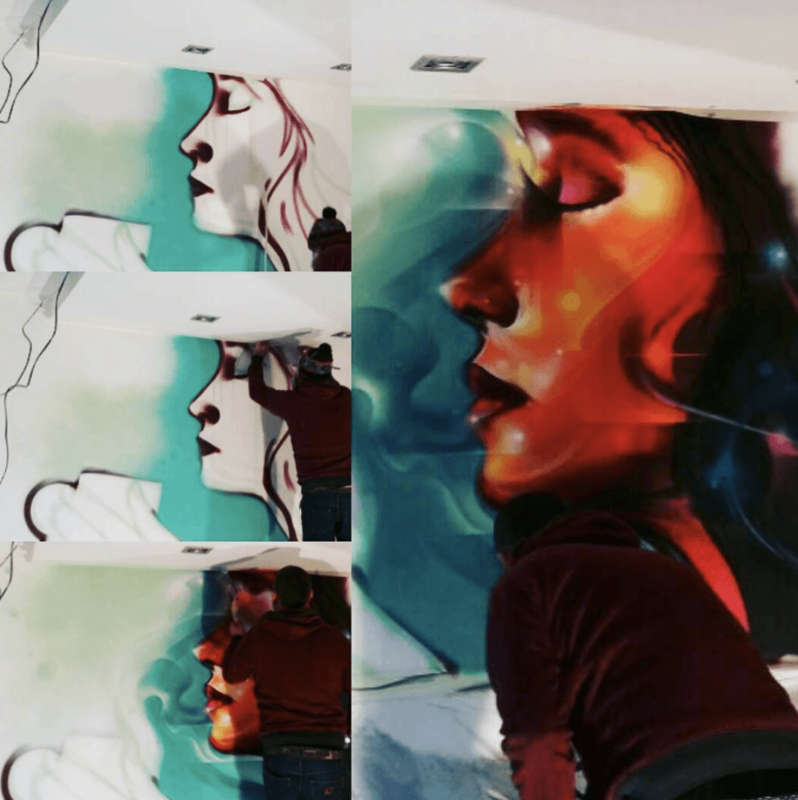 One of our very first creatives to be exhibited in Quaker Street was graffiti artist and muralist Mr Cenz. An active member of the street art community since 1988, Mr Cenz has an enormous portfolio of work spanning major cities around the world, with the bulk of his work existing in his hometown of London. 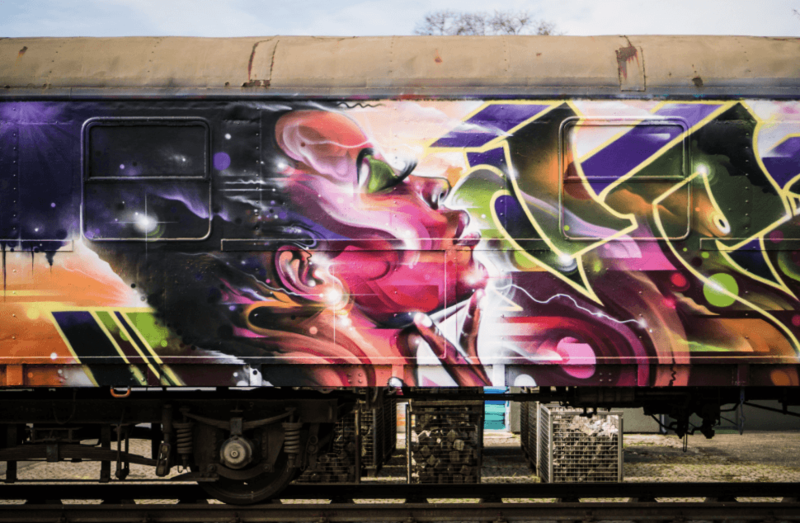 His murals are bursting with colour and movement with many being absolutely enormous installations on buildings and walls – he has even worked on some out of use trains in Germany! His first ever commissioned piece of work was completed at just eleven years old, and after a few run ins with authorities he made an effort to do what he loved legally. The line between street art and vandalism is difficult to distinguish for many, and the rights artist have over their work aren’t always protected. Recently, retail giant H&M tried and failed to steal work by graffiti artist Revok. Their argument was that since Revok’s work was illegal, he had no legal claim to it himself and they should be free to use it. This ignited a powerful movement within the street art community, and H&M backed down. Thankfully this hasn’t deterred artists from adding colour and life to our streets – creatives like Mr Cenz are as active as ever.